CBD oil has become immensely popular recently. You can’t go anywhere without seeing CBD infused something. For those of you who do not know what CBD oil is, it is the product derived from the hemp plant, which is high in CBD (cannabidiol) and low in THC (tetrahydrocannabinol). So, no, CBD does not get you high, but it does have a bunch of other potential health benefits and uses. Some of these include including reducing pain, soothing anxiety, improving mood, helping cope with depression, preventing inflammatory arthritis, protecting the immune system, balancing the metabolism, aiding sleep disorders and healing the skin, among others. Recently, by Chloe, a popular vegan fast-food chain expanded its menu and added some CBD items to their menu. This week, I visited their store at 185 Bleecker Street in Greenwich Village to browse the menu and get some sweet treats. Like always, I was not disappointed with what by Chloe had to offer. By Chloe launched their CBD line on 4/20/18 calling it Feelz. It was such a major success, they decided to keep some of the goodies from that launch on their permanent menu. I went in and tried the ‘daily hit’ brownie which much like its name suggests, had a sparkling hemp leaf on it. And of course, like all of by Chloe’s items, they were plant-based, vegan and prepared from scratch. Like the rest of the world, it seems I’ve also become totally fascinated with CBD. I was always a little bit skeptic if CBD actually worked or if it was a placebo. Honestly, I can now confirm that it does in fact work. After inhaling that daily hit brownie, I was so relaxed, I took the best nap of my entire life. Upon leaving, I also grabbed some other CBD goodies that caught my eye. 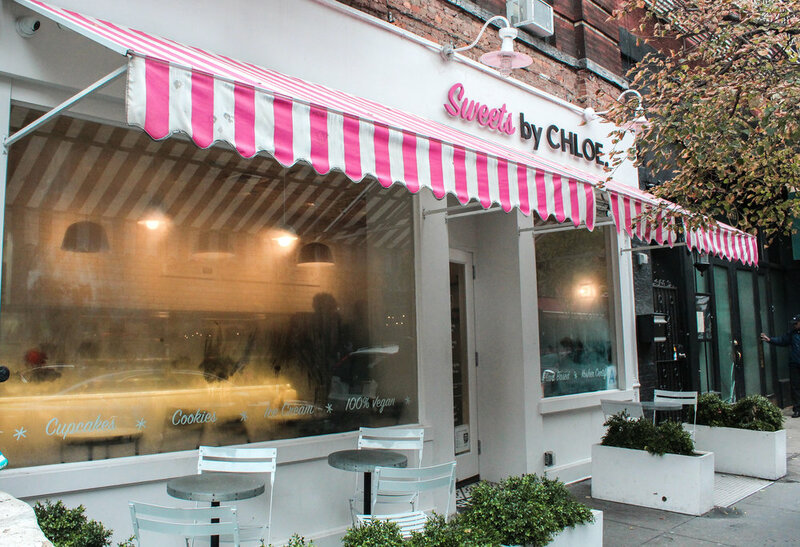 By Chloe not only offers CBD in the form of sugary treats, but also topical creams, concentrated oils, and capsules. I went for the capsules that were called Weed Sport. The package came with 7 capsules in it, each containing 10mg of CBD. The recommended dosage varies for everyone and it depends what you are trying to achieve through taking CBD. Whether you are simply trying to improve your health or if you are trying to aid your sleeping disorders, it is important to do your research before trying CBD and always start at a lower dosage and work your way up.